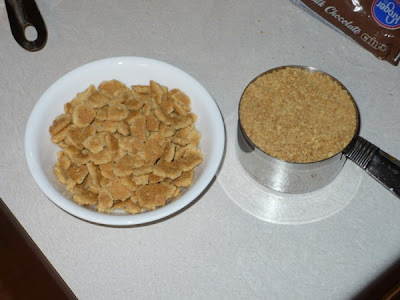 In addition to the 1 cup of graham cracker crumbs, I've added 1 cup graham cracker pieces. One sleeve of graham crackers is enough for both the crumbs and pieces. I put the crackers in a freezer-weight Ziploc and pounded it with a mallet. I used a sieve to strain out the crumbs and reserved the pieces. I got 17 large cookies out of the batch. 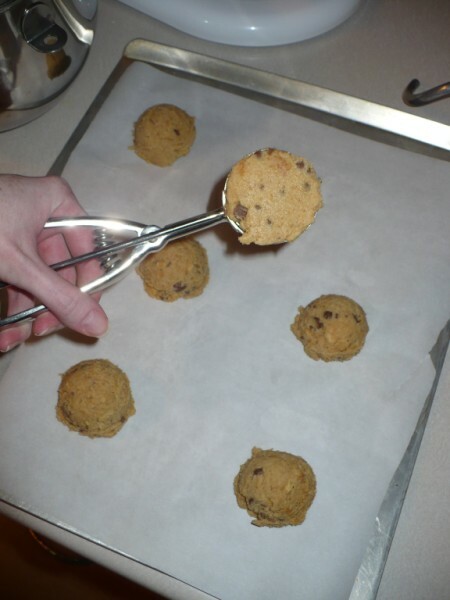 You could always use a smaller scoop, but adjust your baking time slightly to compensate. If you want to save time and just add the marshmallows to the dough, be prepared to have trouble getting the cookies off your cookie sheet, even with parchment paper. You get a better result (and prettier cookies) adding the marshmallows at the end. I also added a couple more chocolate chips on top as well. In a mixing bowl, cream butter and sugars. Add egg and vanilla. Mix in flour, crumbs, salt, and baking soda. Fold in chocolate chips and cracker pieces. Drop by rounded tablespoonfuls on parchment-lined baking sheet, 2 inches apart. Bake at 375 for 8 minutes. 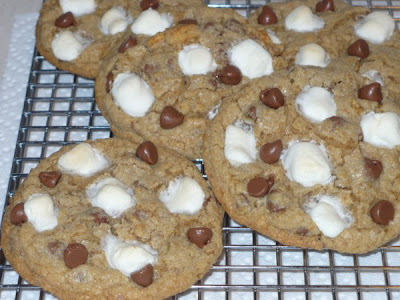 Remove from oven and quickly press 4-5 marshmallows into each cookie. Return to oven and bake for 3-4 more minutes. Cool on sheet for 5 minutes, remove to wire rack. Store in an airtight container. By the way, I am a cookie connoisseur! I know a good cookie when I taste one and these were SOOO good. I tasted one Wendy had made and I thought they were store bought! lol. She used more chocolate chips than the recipe called for and that was just fine with me.